If you're after a casual yet absolutely chic getup, wear a beige trenchcoat with black skinny jeans. Both pieces are totally comfy and will look fabulous together. When it comes to footwear, this look is round off perfectly with white leather ankle boots. 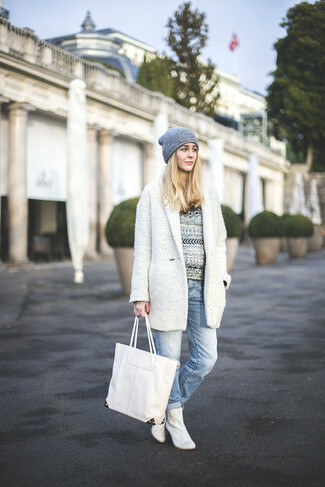 If you're on the hunt for a casual yet totally chic getup, go for a white coat and light blue boyfriend jeans. Both items are totally comfy and will look fabulous together. 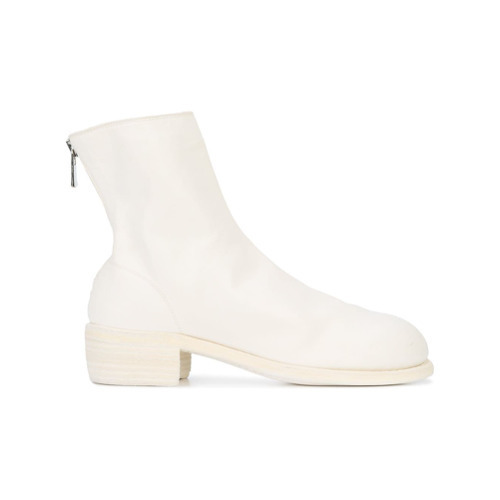 Throw in a pair of Guidi zipped ankle boots to take things up a notch. If you don't like spending too much time on your combinations, choose a grey crew-neck sweater and light blue fringe jeans. Dress up this look with Guidi zipped ankle boots from farfetch.com. If you're obsessed with functionality dressing when it comes to your personal style, you'll love this adorable pairing of a blue denim jacket and a black denim button skirt. Elevate your outfit with Guidi zipped ankle boots from farfetch.com. If you're on a mission for a casual yet stylish ensemble, reach for a beige knit turtleneck and black leather culottes. Both items are totally comfy and will look fabulous together. You could perhaps get a little creative when it comes to footwear and dress up your getup with Guidi zipped ankle boots. This pairing of a beige fur coat and beige culottes is clean, stylish and very easy to copy! When it comes to footwear, this ensemble is complemented wonderfully with white leather ankle boots. If you're on a mission for a casual yet totally chic getup, choose a white sleeveless turtleneck and tobacco culottes. Both pieces are totally comfy and will look fabulous paired together. 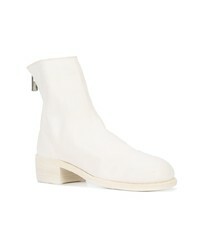 Bump up the cool of your getup by rounding it off with white leather ankle boots. If you're in search of a casual yet stylish ensemble, pair a beige crew-neck sweater with grey skinny jeans. Both items are totally comfy and will look fabulous together. Rocking a pair of white leather ankle boots is an easy way to add some flair to your look. If you don't like being too serious with your outfits, wear a black horizontal striped sweater dress. You could perhaps get a little creative when it comes to footwear and dress up your outfit with Guidi zipped ankle boots.